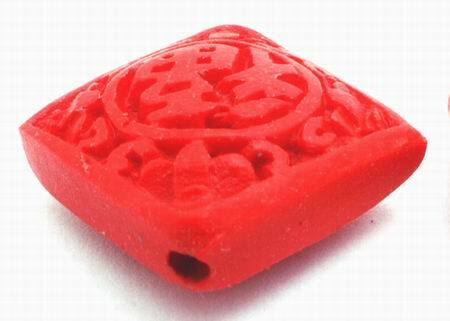 Price is for four of these unusual beads, drilled from corner-to-corner ready to thread. Chinese writing & pattern carved both side. Each measures 15mm x 15mm x 8mm. Ideal as a pendant or focal bead.